Mutual funds can help you achieve your retirement goals. 2. 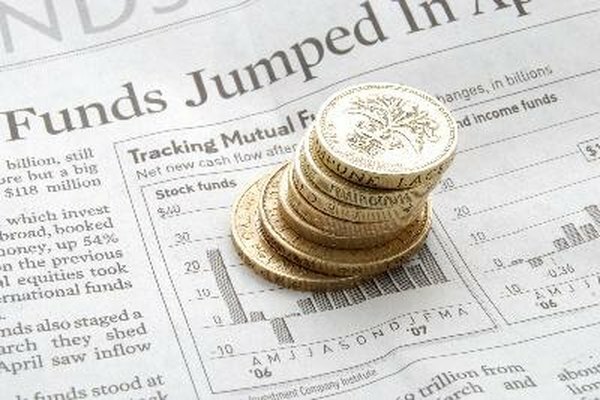 What Is a Conservative Mutual Fund or Stock? 3. What Is Strategic Portfolio Rebalancing? Mutual funds are large pools of money managed by professionals on behalf of individual investors. Mutual funds differ from each other in various regards. The liquidity ratio is a measure that can provide valuable insights into the strategy of a mutual fund and its future direction. A mutual fund is simply a pool of money. Individual investors, who lack the time or expertise to manage their investments themselves, contribute to the pool by purchasing shares in a mutual fund. The money is then managed by financial professionals with vast experience in the field. The gains and losses are then distributed to individual investors according to their contributions to the fund. Since most people invest their retirement savings into mutual funds, the fund managers in charge are generally prohibited from engaging in high risk trades. Typically, mutual funds cannot invest in penny stocks, shares trading below a specific threshold, or short stocks, which is a bet on declining stock values, as such acts could jeopardize the life savings of investors. The liquidity ratio of a fund is a numeric representation of its cash position. The liquidity ratio equals the amount of money a mutual fund is holding as cash or in cash-equivalent financial assets, divided by the total value of its holdings. Cash-equivalent assets include government bonds with less than one year to maturity, certificates of deposit and other assets that can be turned into cash at practically any time with no loss in value. In essence, these assets represent the money held by the fund that are not invested in risky assets such as stocks and corporate bonds. The liquidity ratio is an important gauge of the strategic choices made by a funds management team. Funds with a high liquidity ratio are said to be "waiting on the sidelines." Managers running such funds may think that the assets they normally invest in are overvalued and hold a significant quantity of cash while waiting for stock and bond prices to come down. Mutual funds tend to have a higher liquidity ratio after the financial markets quickly advance and fund managers sell the winning stocks and bonds to lock in profits. While a high liquidity ratio may indicate that stocks and bonds have advanced too far too soon, it could also signal a future rise in stock and bond prices. If a large number of mutual funds are holding a lot of cash, that money will have to be invested somewhere other than cash and cash-equivalent assets sooner or later. Cash and cash-equivalent assets return a very low yield, and managers who hold such assets for too long will have an unimpressive return at the end of the year. Therefore, the higher the liquidity ratio of a fund, the greater the pressure on the management team to find worthy investments and put that money to work. Simple Saving Ideas: What Is Mutual Fund Liquidity Ratio?